The new small, state school specialises in training the healthcare professionals of the future and welcomed students into Year 9 and Year 12 this week. Central to the vision for the school – which offers a range of academic, vocational and professional qualifications – is its partnership with a number of local healthcare educators and practitioners, who have been key in formulating the unique and innovative curriculum. Alongside the University’s Faculty of Health and Human Sciences and Peninsula Schools of Medicine and Dentistry, the school’s partners are Plymouth Hospitals NHS Trust and Livewell Southwest, and they are all providing work placements and masterclasses for students. Professor Greg Dix, Derriford Hospital’s Director of Nursing, cut the ribbon to declare the school open at its temporary location at the Millfields in Plymouth. Work has begun on a brand new permanent building in the Stoke area of the city. Applications are now open for places in the next Year 9 and Year 12 and open events are being held on 27 September, 7 October and 29 November. 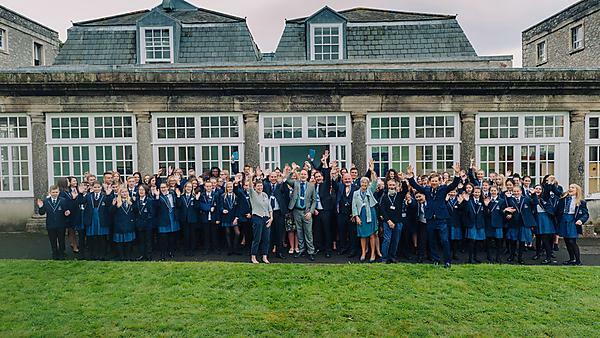 Schools like Scott College are state schools which are more like workplaces with a longer school day and classroom teaching combined with work placements. Students will carry out work experience from half a day to a full day each week. Admitting pupils aged between 13 and 19, the school is separate and distinct from its sponsor Stoke Damerel, while taking advantage of the economies of scale of being part of the Inspiring Schools Partnership multi-academy trust.